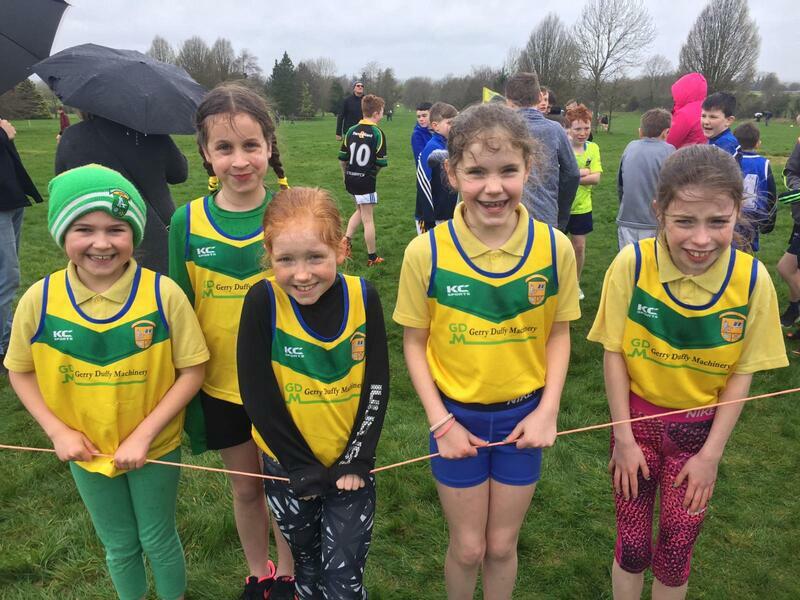 There were classic cross country conditions today in Navan Adventure Centre as children from 1st to 6th class attended the Leinster Athletics Meath Cross Country Championships – and when it comes to cross country classic conditions means rain, cold, mud and dirt! There were too many heroic performances today to count, from Niamh Murphy and Aoibhinn Shevlin storming home to take individual gold in their races against athletes from some of the biggest schools in the county to Caoimhe Morgan and Peter Sherlock changing teams at the very last minute to sub in for sick competitors. There was grit, determination and great fun as each race was run. Several children ran in an older age category to make up teams and several children recovered from falls, stumbles and elbows to fight through to the finish. 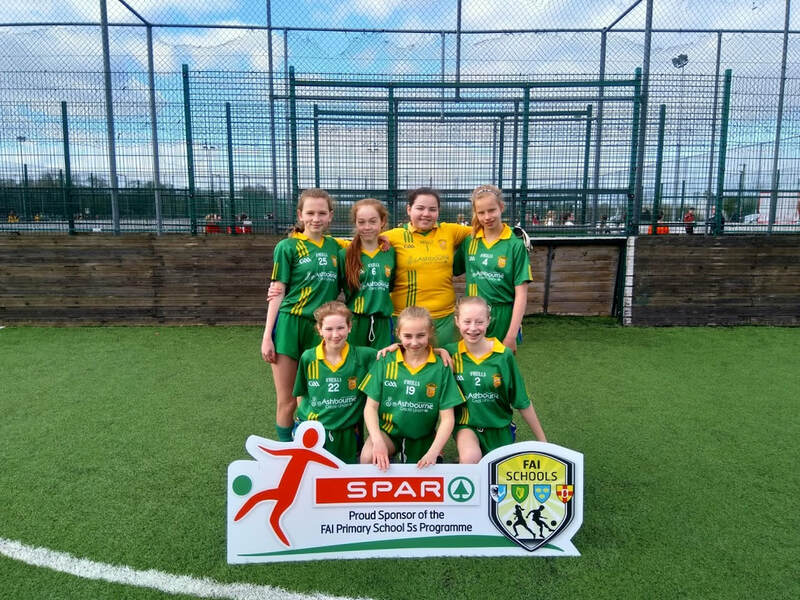 Top ten finishers included Aoibhinn Shevlin (1st class), Emily Keogh (1st class), Orlagh Mooney (2nd class), Aisling McMahon (2nd Class) Tara Keogh (3rd class), Aisling Shevlin (4th class) and Christopher Conlan (5th class). 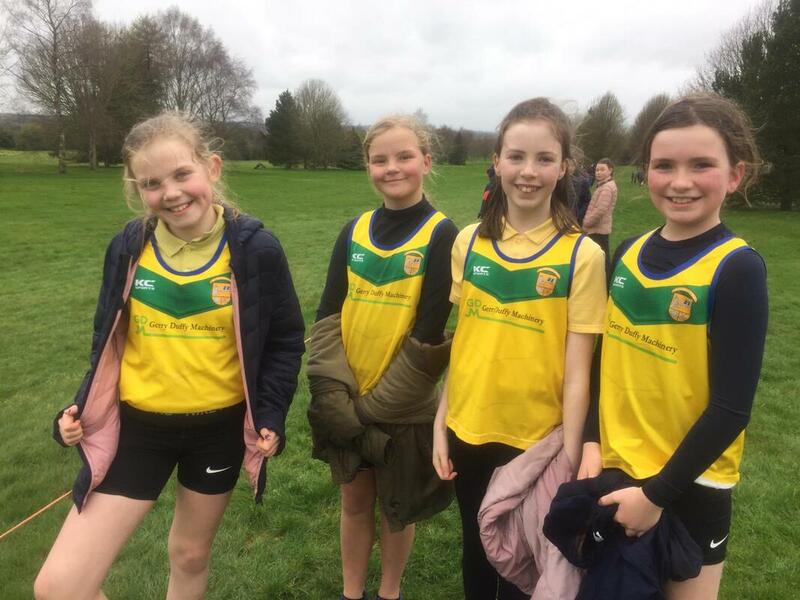 In their final cross country performance for St. Andrew's National School our 6th class girls claimed individual 1st place (Niamh Murphy), 4th place (Lauren Fewer), 8th place (Grace Toole) and 9th place (Phoebe Horgan) for a team score of 22 points – which in cross country is like scoring a hatrick against Brazil !!! Ms. Ronan is thinking of accidentally losing their applications to secondary school and keeping them with us!!!! They were ably assisted by Rachel Moriarty and Aisling Smith both pulling out a top 50 finish. We will patiently await the team results on the Meath Athletics website soon. Congratulations to each and every athlete. You did us all proud! We hope you enjoy the photos below - many thanks to our faithful supporting parents for the cheering, the hot chocolate and the photos!! 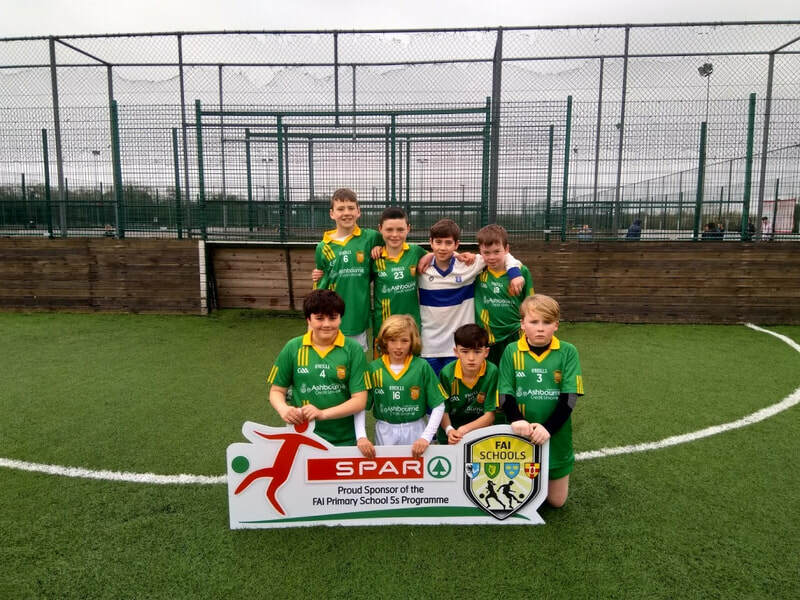 '4 soccer teams from 5th and 6th class attended the Spar 5 a side competition at the MDL grounds in Navan recently. Our 2 girls' teams competed on Tuesday, March 26th and gave a wonderful account of themselves performing brilliantly in both competitions. Team B finished 3rd in a very tough group with some great performances all round. Team A thought they had just done enough to qualify out of their group but sadly were eliminated on goal difference. The following Monday, April 1st it was the boys turn and once again there were brilliant performances all round. The B team narrowly missed qualification having won a game, lost a game and drawn a game. 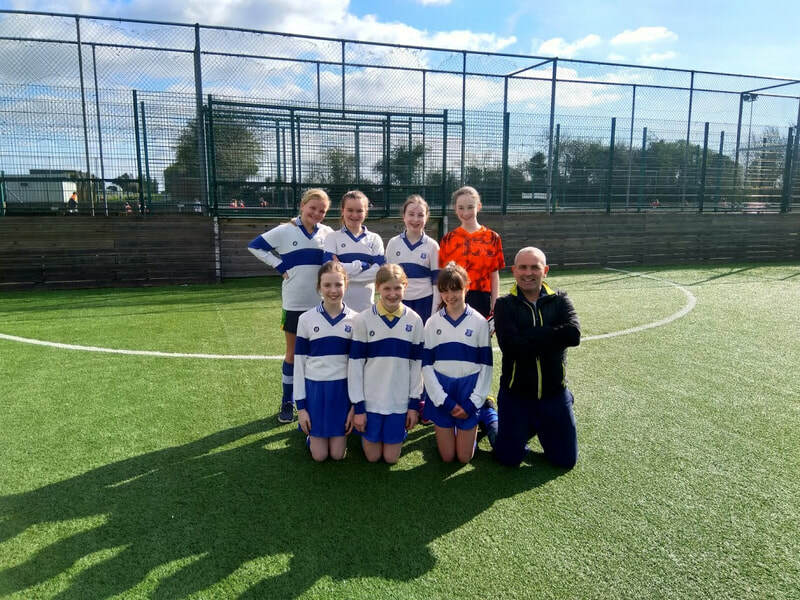 The A team put on a sometimes stunning display of soccer and topped their group, then won their semi final and final comprehensively to progress to the Meath County Finals on April 10th. As we arrived on April 10th at the MDL we realised straight away that the competition had gone up a notch as we noticed several teams with very skillful and also very tall players. However we were confident in our ability. With Kevin Doyle keeping the goal safe we left it to Dylan Rowland and Peter Sherlock to keep the line clean at the back and shut down any threats. Captain Fantastic Dylan Rowland put on the performance of a lifetime calmly shutting down each and every breach of his line. In the centre Christopher Conlan showed all present how things were done, wowing the sidelines with skill beyond belief scoring 4 free kicks and several outstanding goals. Jared Roche upfront worked wonderfully with Christopher and the opposition defences soon realised they couldn't cope with Jared's speed at all. Two wins of 3-0 and 4-0 against Moynalvy and Bellewstown didn't compare to the titanic battle we had against Dunderry. At 3-3 things were looking tough but then Christopher and Jared combined to score a spectacular goal to put us ahead. Our super subs Caolan Duffy, Mylo Hussey and PJ O Reilly each did their jobs to perfection when called upon to come on with Mylo scoring a magnificent long range goal in game 3 to open his score sheet for the day. Caolan did a great job upfront showing some great passing skill combining with Christopher's nimble runs through the middle. PJ ably assisted Dylan at the back and cleared his lines strongly and calmly as any full back should do. 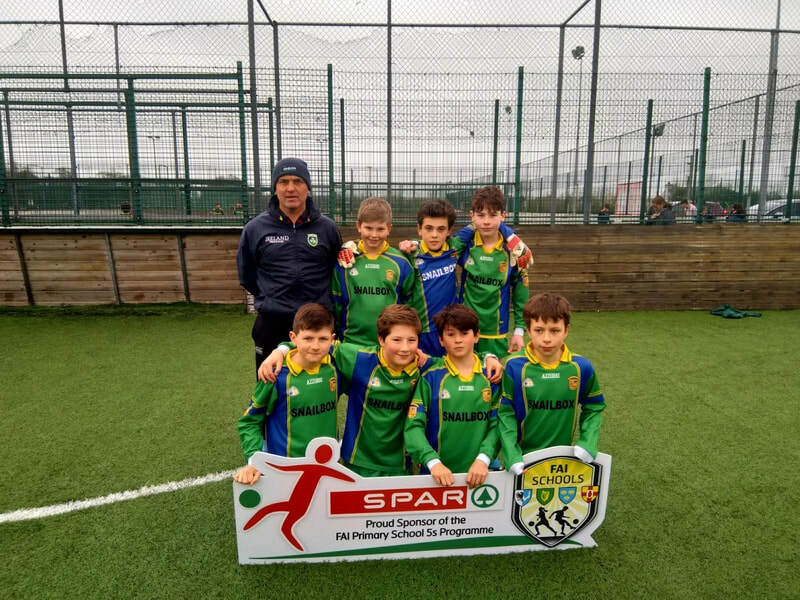 Our boys now advance to the North Leinster Finals on May 2nd where we hope we can once again test our skills and stamina and progress even further! Thanks to all the parents who drove our players to and from the event and who cheered and encouraged so well from the sidelines!